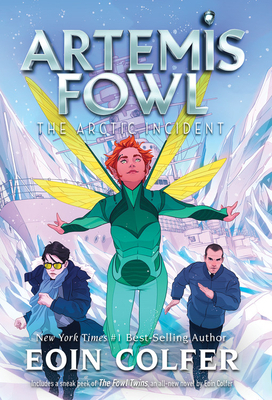 Artemis Fowl is at boarding school in Iceland when he receives an urgent video email from Russia. It's a plea from his father, who has been kidnapped by the Russian mafia. As Artemis rushes to his rescue, he is stopped by Captain Holly Short. This time, instead of battling the fairies, he's going to have to join forces with them if he wants to save one of the few people he loves. Eoin Colfer is the New York Times best-selling author of eight books in the Artemis Fowl series and well as Iron Man: The Gauntlet, the WARP trilogy, Airman, Half Moon Investigations, The Supernaturalist, Eoin Colfer's Legend of... books, The Wish List, Benny and Omar; and Benny and Babe. He lives in Dublin, Ireland with his wife and two sons.